Euphoria: Build a Better Dystopia ( Euphoria from now on ) is the 2nd game by designers Jamey Stegmaier and Alan Stone. 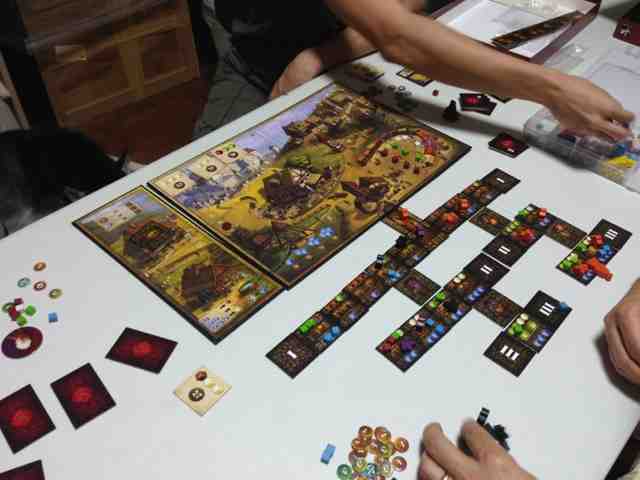 Their first collaboration was Viticulture which was recently released via Kickstarter. 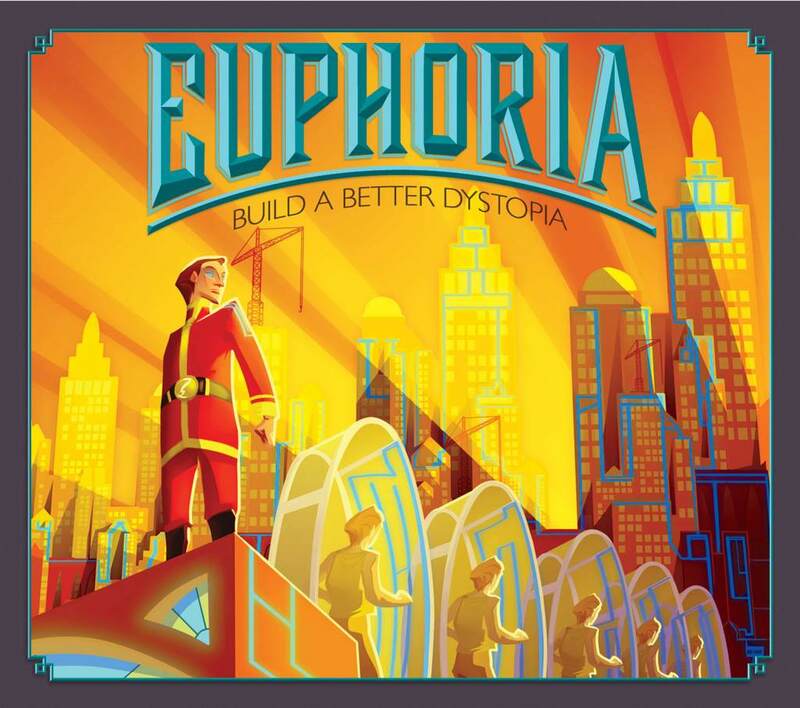 Euphoria will be published by Stonemaier games ( which I assume is co-owned by Jamey and Alan ) and is currently up for funding on Kickstarter. I can feel the epic-ness as we setup all those chits! Space Empires 4X is a war game plain and simple from the fine folks of GMT games. It plays 1-4 and takes you from 1 homeworld with a handful of colony ships all the way to an empire spanning several colonies, all to help you to wage war on the homeworld of an opponent. Its epic and even has fog of war built in but certainly will take a LOT of time to play the normal game itself! I wish the other side had a different board configuration.. I review this previously in my other blog so I won't go into too much details again. This is a light weight euro with a pasted on theme where players are trying to score points by strategically placing their workers, obtaining tiles with which they can then move some workers into various provinces around the map and the venice in the center of the map. These workers will provide scoring points as well as bonuses. When the game has ended, there will be a slew of other end game scoring bonuses and whoever has the most points will win the game. We liked it so much we played TWICE in 1 session! If you can't tell by now, I really love this game. The first time I played it I was going "wow.. this is such a meaty game and I can feel my brain going overtime working out the various combinations and things I can do to be in the best position to score points and I can feel it melting out of my ears but WOW... I love this game!" Its been some time since i last played Tzolkin especially since my copy has been exchanged with a friend's vanilla copy and I haven't gotten down to painting the new copy (so many things to do, so little time!). 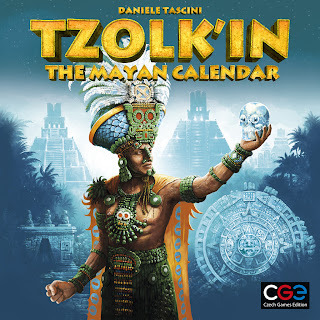 I was eager to see how the double turns can screw with other players and also other methods to win the game and not rely too much on the temple. We have the pleasure of interviewing Jamey Steigmaier, Designer and publisher of Viticulture and the upcoming Euphoria which is already funded and still running on Kickstarter! Contest will end on 23rd June and the winner will be announced in Episode 13! 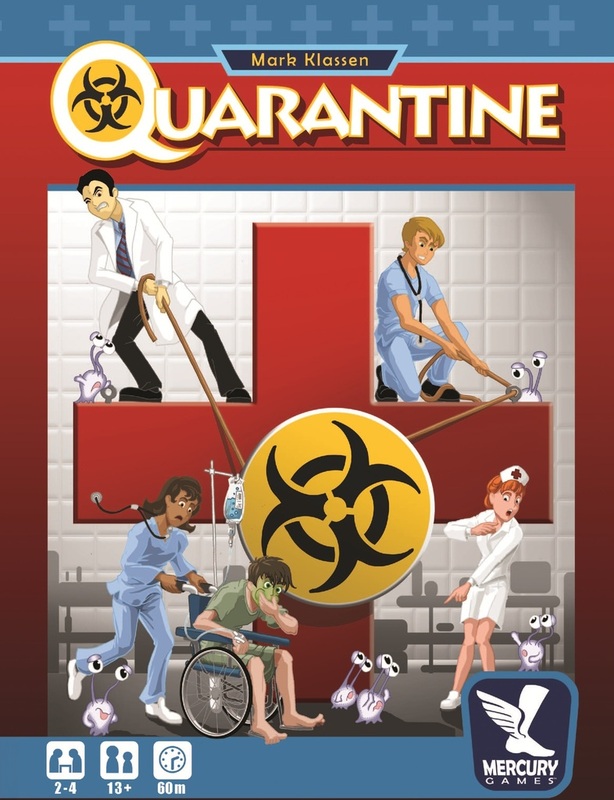 A game in which players are trying to stack rubbish in a trash can and trying not to be the one who cause any trash to fall. Its light, fun and nicely produced game that will sure to be entertaining for the family! A light-medium weight game where you are laying down tiles and then thinking where you are placing your shiny object so as to attract as many crows from other tiles to your object because the crows will score you points. There are extra points to be earned if your object is on a cemetery and you get special tokens if your object is placed on an empty tree tile which can give you 2 points if unused at the end of the game. So basically you are trying to see where is the best place to first, place that new tile so you can benefit and then place your shiny object to attract as much crows as you can and at the same time stealing crows from other players. Player order is quite important as well because being first you could possibly get the best spot but being last you can also see how you can best screw with other players too! Components are ok and the crow-eeples are pretty cool! Try before you buy! 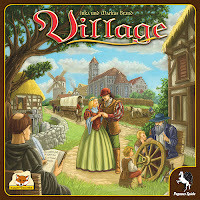 Eric and myself recently managed to get in a game of Village with its new expansion "Village Inn". He has shared his thoughts and a small session report earlier, and i thought i would share my opinions on it as well since our opinions tend to differ somewhat and also since i have a sprained neck and thus quite a bit of free time. 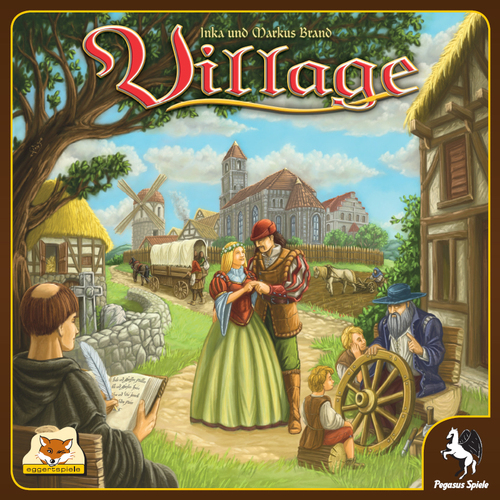 So my copy of Village Inn, the expansion for Village, has arrived and I was quick to bring it to the table to play. 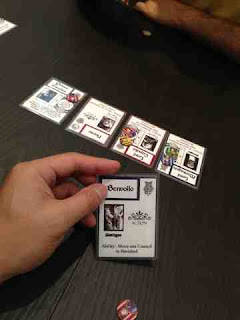 What it adds is a set of cards which gives you certain characters that can provide you with 1 time benefits or more points at the end of the game. 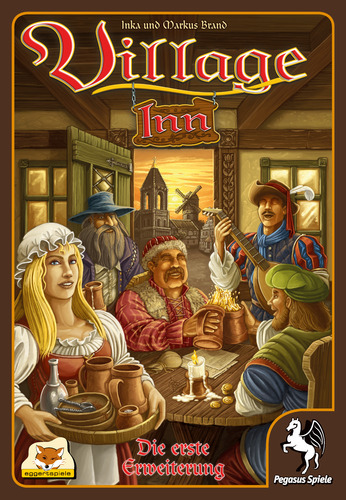 These cards can be purchased at the Inn by placing a person there for 1 x Time and activating that person for another 1 x Time. Cards do have a purchase price. Another addition is a new building with which to make a new type of Good - Beer. The expansion also adds components for a 5th player and a few more goods and customer tiles for the game. 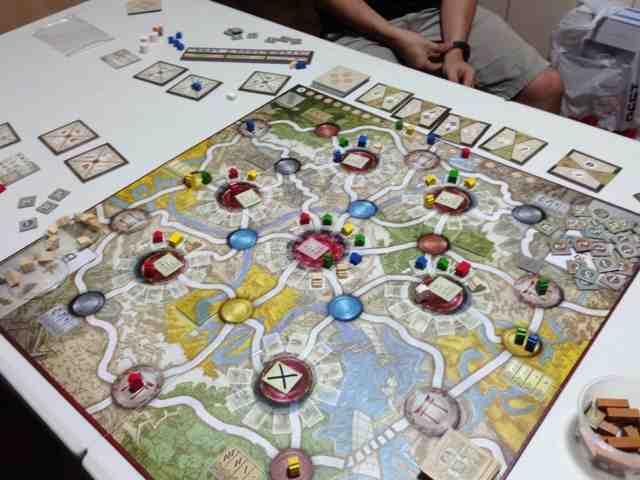 A worker placement euro medium weight game that has funky (not in a good way) mechanisms and took way too long to end. basically the idea of "A Purchase Decision" ( aka APD ), is just to state out what i thought of while deliberating whether or not to buy a particular game. well, on to it then ! Omg so trashed in this game of Edo. Jillian had enough resources for 2 fortresses in her last 2 turns which pushed the game to end and gave her a comfortable lead. We think we gave her too much leeway in the beginning by not challenging her income.